Recently, two Watershed Steward Program Americorps (WSP) members joined the UCCE California Sea Grant Russian River Coho Salmon Monitoring program. 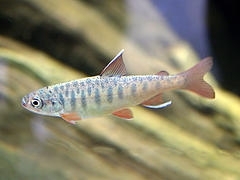 The mission of the WSP is to conserve, restore, and enhance anadromous (salmon and trout-bearing) watersheds for future generations by linking education with high quality scientific practices. 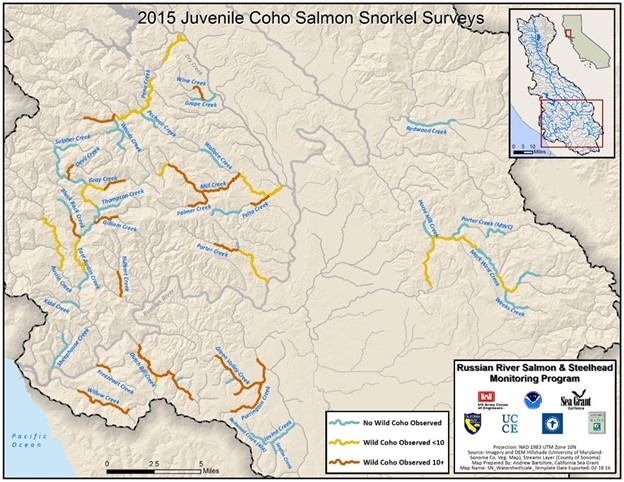 This mission fits well with the Coho Salmon Monitoring Program's goal of monitoring and restoring fish in historic coho streams within the Russian River. 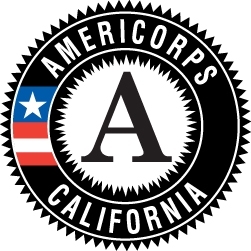 Troy Cameron grew up in Sonoma County and started his career with the Sonoma Ecology Center followed by work for the Bureau of land Management in Oregon. He studied Environmental Science in New Zealand where he received his undergraduate degree from Massey University. 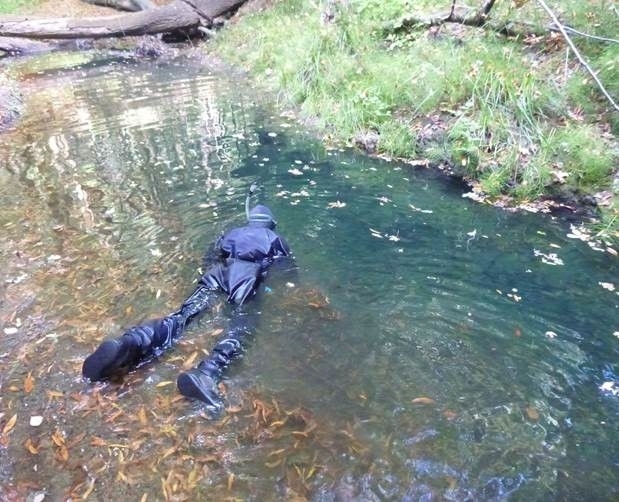 This fall, he returned to Sonoma County as a WSP member to work with the Coho Salmon Monitoring Program. 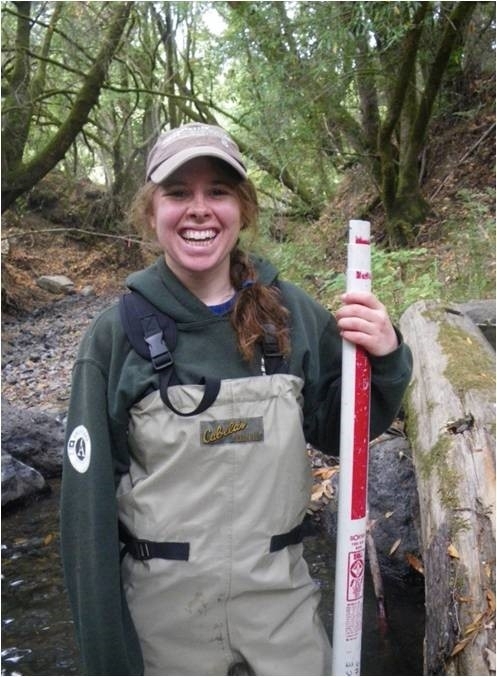 Jenna Dohman studied at Western Washington University and earned a degree in Environmental Science. As an undergraduate she experimented with algae in a marine chemistry laboratory. 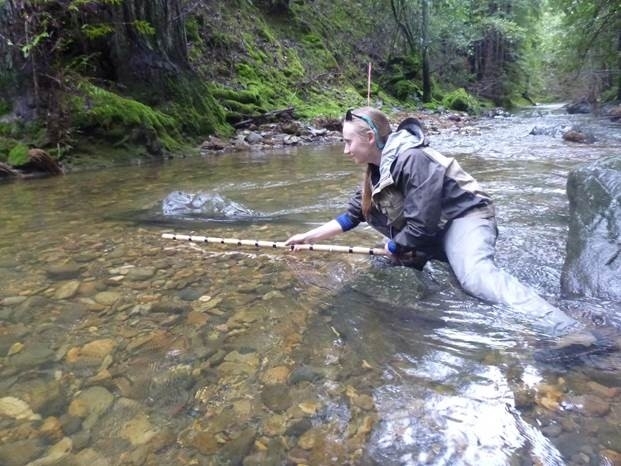 After graduating, she completed field work in the Idaho Wilderness and the Mojave Desert before coming to Sonoma County as a WSP member with the Coho Salmon Monitoring Program. 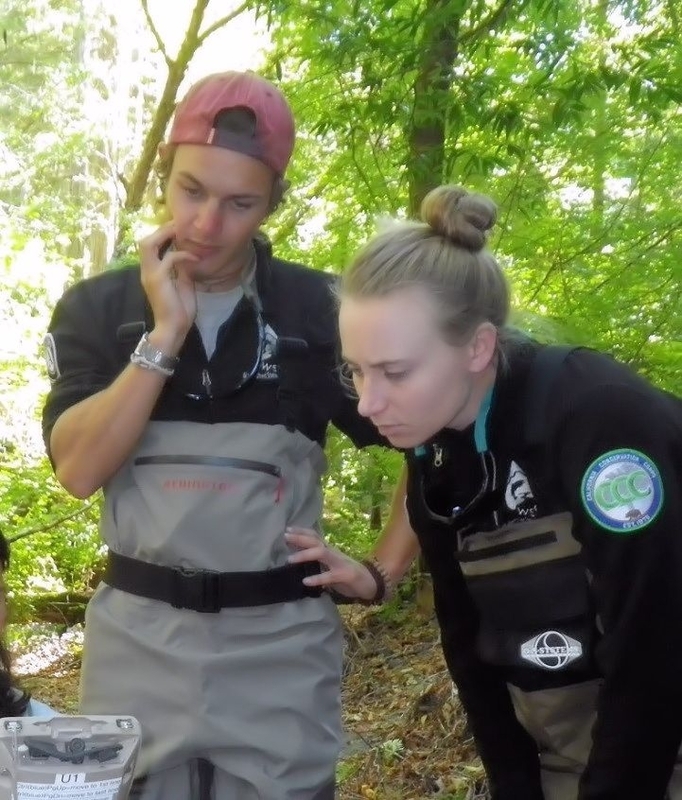 In this picture, Troy and Jenna are learning about salmon survey data entry techniques on a handheld computer.